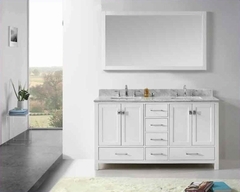 Lovely traditional style coupled with exceptional functio, the Lafayette Home Office features felt lined top drawers, side mounted ball bearing glides, English and French dove tailed drawer construction, and the highest quality construction that is standard to Magnussen Home. The collection features a variety of desk options with plenty of storage, a lateral file cabinet, and bookcase to keep you organized and productive. 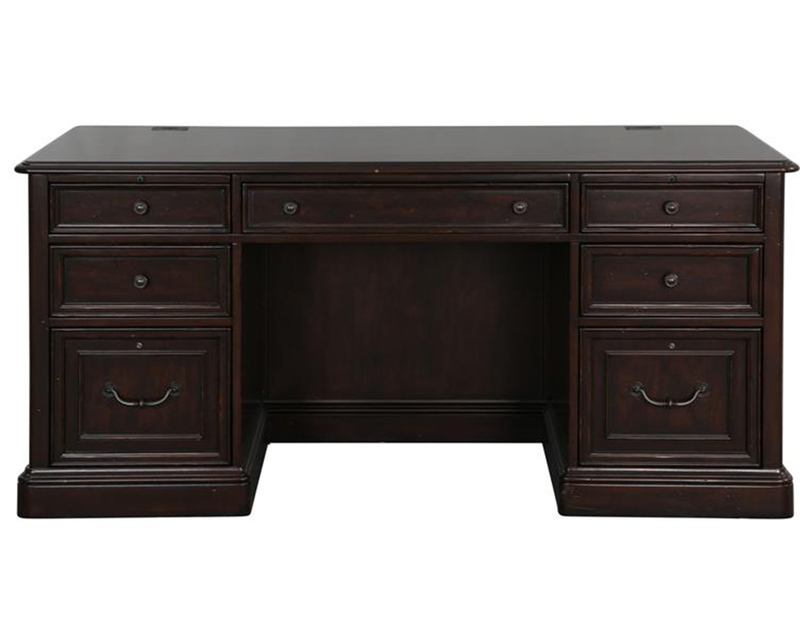 Finished in a remarkable Cherry stain accented with antique brass hardware, select from the kneehole credenza and hutch, L-shaped desk or double pedestal executive desk for the configuration best suited to your home office needs. 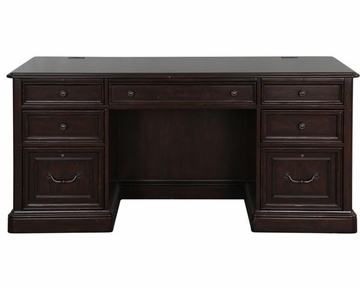 For traditional styling with modern function add the Lafayette collection to your home office.